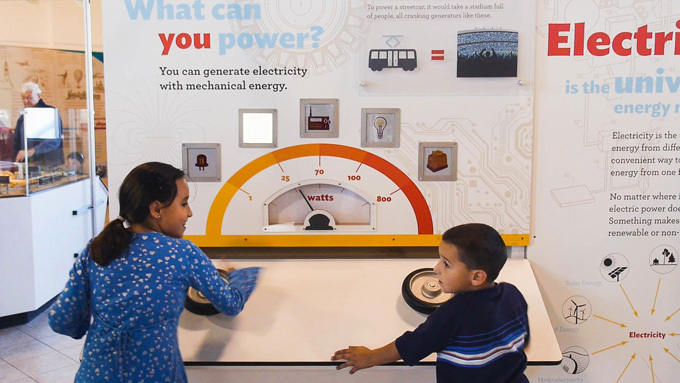 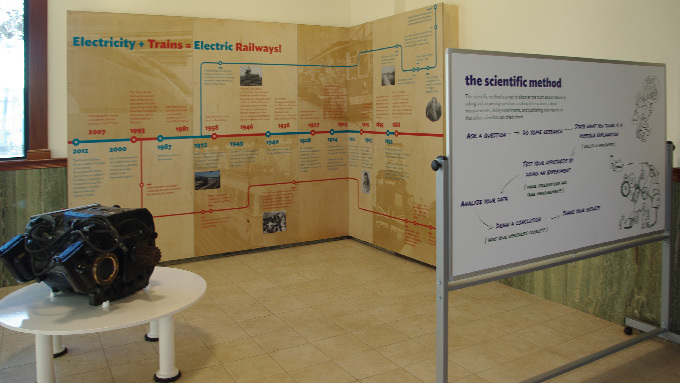 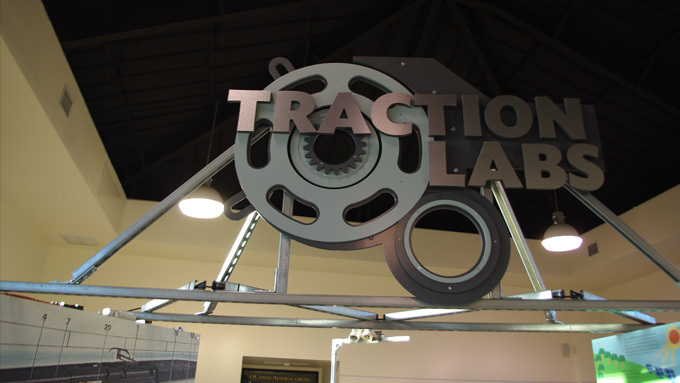 Working in collaboration with the Western Railway Museum in Solano County, CA, Cinnabar designed, fabricated and installed Traction Labs, a new interactive exhibit about energy with particular emphasis on sustainability and electric trains. 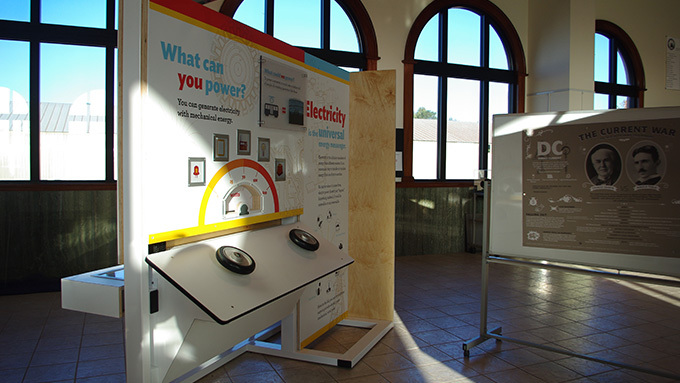 The exhibit is comprised of several interactives, with its core feature being a 100 sq.ft. 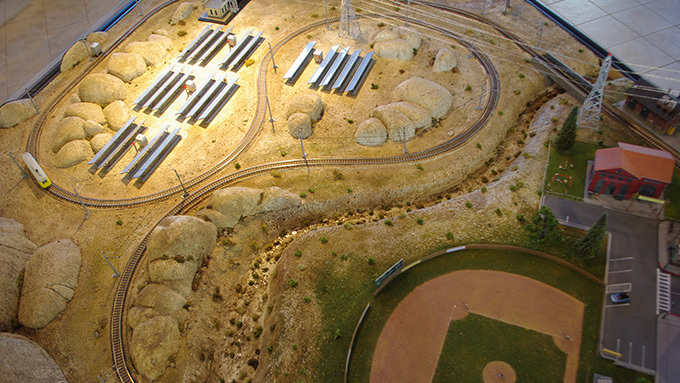 electro-mechanical train set with three distinct scenic regions- a wind farm in Solano County, CA, a typical urban city and a desert solar facility. 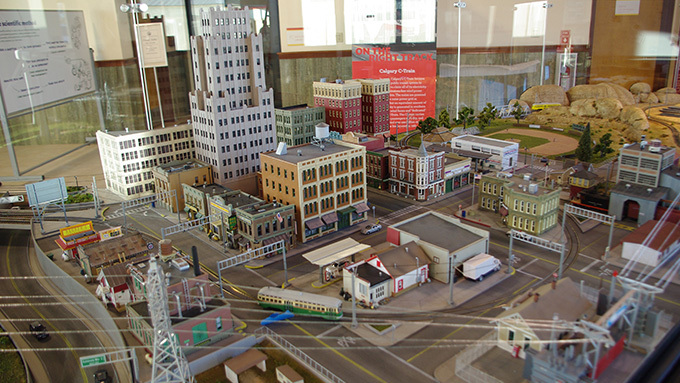 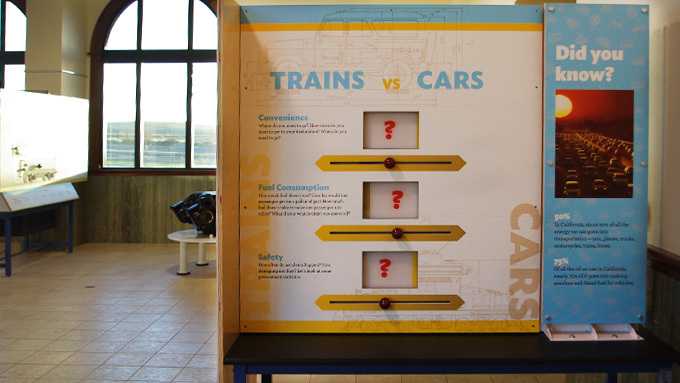 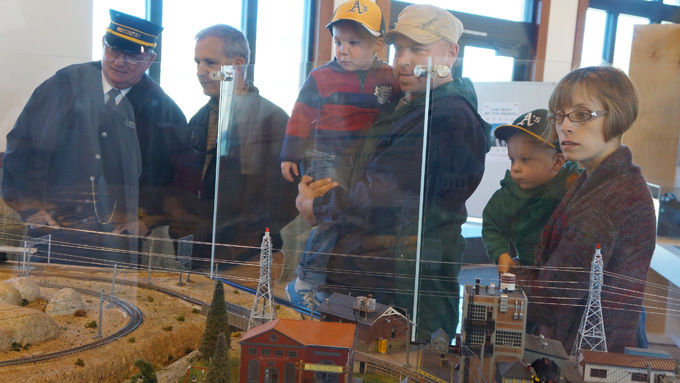 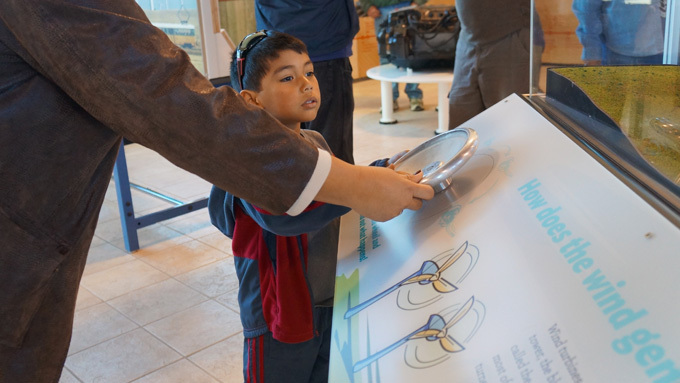 The train set allows visitors to power two different trains while learning about wind and solar power generation. 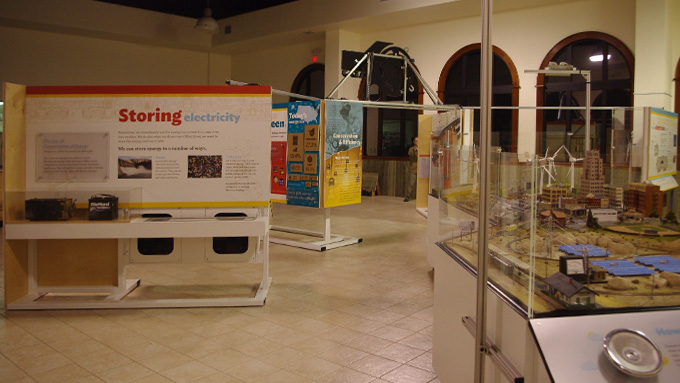 From initial design to installation in 16 months, this was a successful collaboration that created a signature, long-term exhibit that addresses a very important topic, energy, through engaging hands-on activities and clear graphic presentation of the subject matter.